As we've mentioned before, almost all hiring managers now check a job candidate's social media pages before making an offer, sometimes even before asking for an interview. Do you want their first look at you to be: (A) you in your teeny tiny tank top partying the night away, or (B) you dressed and posed like the highly paid professional you hope to become? We suggest that you invest a bit of time and money in getting a classic profile photo you can be proud of, and use for years to come. If it gets employers to take you seriously when they didn't before, it could pay for itself many times over. Bite the bullet and shell out for a professional quality portrait. Even a cheap passport/ID photographer has better lighting and camera equipment — and the knowledge to use them — than you do. This is one of the most frequent problems with your average Facebook profile photo. Having other people in the picture with you is totally unprofessional, even if you crop out as much of them as possible. The ideal photo is a close-up of your head and shoulders with a plain, non-distracting background. This makes you look approachable and trustworthy. Even though viewers won't see much of it, wear business attire. Style your hair, jewelry and makeup as if you were going on an interview. Too big or too much of anything (earrings, eyeliner) will lower you on the credibility scale. Smile confidently when the photo is snapped. If you're higher up the corporate ladder, it can be beneficial to look more serious and authoritative; but we generally recommend at least turning up the corners of your mouth to show that you have a positive mindset. 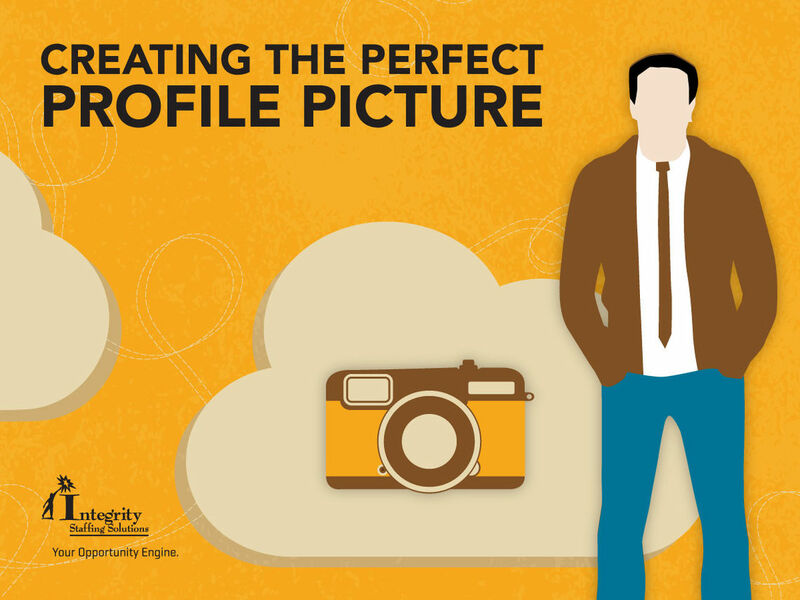 Now that you have a profile photo that will help, rather than hinder, your job search, post it everywhere you have a profile that can be publicly viewed. Because you never know who's looking!